Pool Care Specialist of Central FL! For the most convenient place to buy all the pool supplies you need all season long, please visit our store. 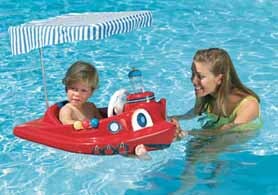 We offer the best selection in name-brand pool products, along with outstanding customer service. Our retail store takes pride in offering high-quality products and superior customer service. We go to great lengths to ensure we carry only the best and most reliable products on the market today. Our wide selection of popular name brands makes it easy to find your favorite products and, if you need help, one of our trained sales staff members will be glad to assist you with knowledgeable recommendations. Our retail store is focused on bringing you the newest developments within the pool and spa industry. We are dedicated to supplying our customers with only the best quality products, and we are proud to be part of SCP’s Backyard FunStore program. Remarkable products and comprehensive customer service are what we offer every client. Contact us today for more information!